Songbird looks rather young in his appearance, but this is strictly due to his youthful nature. His hair is a stern white, which seems to fade into a light teal-blue. This is natural for him, as his disease form his mothers side had slightly affected his appearance, as the disease from his fathers side signified his actual capabilities. For the most part, he is able to cope with his hair being white, as if he was older, and it does not bother him as much as it would others. The blue in his hair is his would be actual hair color, but as time wears on it seems to be turning more snow-white. Most of the times his eyes are pure white, which makes him sort of look like a zombie and he seems to always wear the proper shades to hide this fact from others. He has a straight nose, and he has also a very well shaped mouth, he has his hair hand down over his face. But he has recently dyed all his hair black and shaved his head. He has a masculine upper body, but its quite skinny. He isn't an over-bound steroid freak, and due to his body mass, he only stands at eight foot, zero inches. He keeps himself in peak physical conditioning, and that is shown throughout his body. He has his clothing in a very ritualistic style, in which he wears most of the time. He has a Black undershirt that has straps, which allow for his full arms and shoulders to be seen. Over this he wears a large white coat, that has fur along the color of it. Which on the back has the symbol of his village imprinted upon it as well as the bandana, which is woven into the front of the coat where the pocket protector would normally be located. He also carries around a necklace that is a straight black bar, which seems to be made of a substance a kin to puddy. The black bar is surrounded by two black diamonds on either side. In order to keep his clothing matching in a unified manner, he has come to wear his lower body clothing in a manner similar to his upper body clothing. This means he wears pure white pants, that match his jacket above, as well as black boxers, which seem to match his undershirt. His pants are special as they have a unique x pattern zipper formation, which makes his pockets have extra room. He has a ball chain which extends down past his knee, which has no special purpose other then being his fashion associated item, this is also black, as he keeps his uniform in a uniform fashion. His shoes are black, and fit his size, fourteen feet quite well. The laces of these shoes are in checker board fashion, and em to be tied in a double bunny knot. He does not wear the typical shoes but instead sandals, as he finds them to be far more movement effective. He is very in-tune with himself, constantly questioning himself and his actions, making sure that he is taking the proper path and such. Even with that being known, he is very doubtful of his true potential. He believes he can reach it, but he often doubts this is possible whenever he is forced to fail during the task he has set. He is very vain, but would readily refuse to accept that as a true fact, due to the fact that he has a lot of self-confidence and modest to balance it out. But he is known to spend more time in front of a mirror then not. He can sometimes flaunt his skills over his clan abilities, over his other clan members, but this is because he wishes to state to himself that he is the best of the best, and not just a waste of time in the history of the two devil-fruit, no he refers to this as the disease, users before him. In the view of his friends, family, and co-workers, he is very analyzable in his actions and moods. The most obvious one being that he never loses his cool, and is never upset, regardless of the circumstance. He remains serious, but can not be angered. Other then that he is Straight-forward, brutally honest, and obsessively goal-oriented. These three things sum up the gist of what Aazeil is, was, and will become. He is incapable of lying, which is one of his downsides. He is so honest, that at times he could be considered rude, or foolish. But this also proves that he is very trust worthy. He is constantly setting goals, and strives to reach them, his mind set solely on achieve the end results. He is really kind to others, be it an opponent or otherwise, he never shows disrespect intentionally, but he is very sarcastic in his nature. Often causing problems with people of stronger caliber. Romantically, he is a sweetheart. Or more like a manipulating sweet-talker. He is very suave, and often has multiple partners at once, until recently in which he is bored with that life style. He has set the current goal of settling down and having a serious relationship for once. His romantic experience being vast and for the majority, quite overbearing to others. In his more serious relationships he is not as manipulating, and is very tender and warm-hearted. At times he can be very obsessive and controlling, but that is only due to the fact that he gets jealous very easily. With the more intense relationships, he is very sexual for someone of his serious nature, and he tends to share more of his personal side with his significant others. He is not one that expresses his jealousy however, and denies all together that this accusation is even true, to him he is a fair and kind-hearted lover. Being born on Goso Island was not quite what Sunsong had ever imagined. It was boring. Beyond boring really. The only reason he would even be able to handle being in that village was the fact that his Father was coming home. He was about 7 when he first became a Pirate. 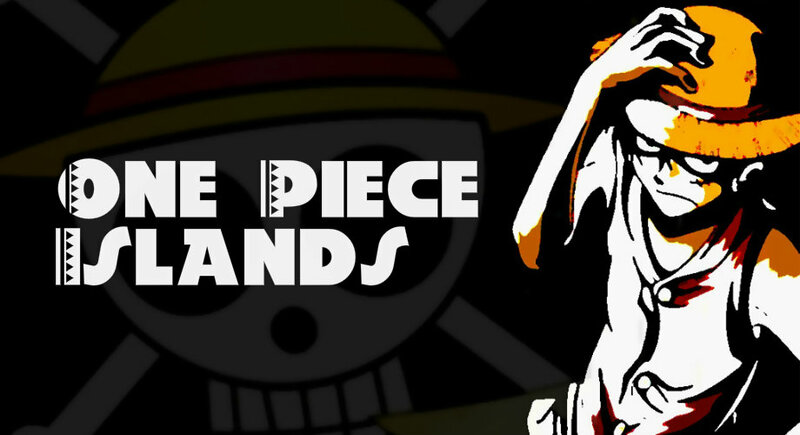 His father was the leader of a small Pirate Crew known as the Grand Royal Pirates. His fathers name was Kurt G. Bird, also locally known as the infamous Killersaw. When his father came to get him and his mother, it was glorious. From that moment on, everything in Sunsong's life was revolved around getting stronger, and being a better pirate. He had got into many tussles with other Pirate Crews, and he even dedicated his entire life to prove his father that he was a far better Pirate then any of the crew members. It was widely known however in the village that Sunsong needed to get his own crew created. He did just that. He got one of his friends to let him in, so that he didn't have to take orders from his father all the time. He was the age of 14 at this time as well. They name of this crew was the Red Harpies. Something a bit sissified, but he enjoyed it none the less. Outdoing the Marines, and finding treasure. It was the greatest time in his life at this point. Especially due to his Father inviting his crew to join into a new group. He was a Pirate in his own group now, known as the Purple Grape Pirates. Which was several small and unknown Pirate Crews that banded together to make one large group of Pirates. Their was Five Captains in this group as a whole and one of them was the over all leader of said group. This one ironically was under the control of Killer Saw. The five groups where contracted for a major war. So they decided it would be best to go ahead and serve in the battle. Grand Royal Pirates, Red Harpies, Andy's Pirates, Plastic Pirates, and the Envoys of Mercy. A.K.A GRAPE. However, a mighty pirate known as Stranglehold killed four of these groups only weeks before they where to head to Marine Ford to aid the great Yonkou. The Red Harpies where decimated, but five of the members survived. With no captain they decided to get a new group. Strangely enough. When Sunsong was twenty years old, he was a member of Big Mam's group of Pirates. Though not a member of her Pirate Crew. He even had the gall to help attack Marine ford. However, during the final legs of the battle. He had the knowledge that their was a possible way to cut off the rest of the Marines from reaching the defensives on time. However, this did not occur. Instead he allowed the Marines to enter, and the rest was history. He could have lead that small crew of pirates to the Calm belt, upset the rest of the Seakings. But he had other plans. Plans that he didn't think mattered much now. After his betrayal, he managed to flee the battle. Un-killed He was then seen actively leading other Pirates too their dooms, and getting many pirates sent to Impel Deep. He was honored for his service to the newly constructed World Government. He didn't care, he was an former Pirate. He simply covered up the deaths of those who attempted to oppress him, and he let the public get a grasp of his ideals via communication devices. Gaining popular voice, the Marines reluctantly let him join. Though, they soon found it to be a mistake. As he swiftly gained control of the entire operation. Declaring himself just as Killersaw had. The one sovereign of the Admiral group. Many where very suspicious of his acts. At first, he felt the need to be the best marine he could be, but that was when he had been told the truth in impel down by a drunken guard, who was his old crew-mate back when he first became a marine, who had explained to him that it was the marines fault that all of his family died, and that they drugged him with a powerful Devil Fruit in order to convince him that the images he was seeing was true. Upon learning this information, he quickly devised a plan for revenge. He swore that he would never show anger again, and he would use his calm, nice nature in order to confuse and trick his enemies. Ultimately leading them to their untimely doom. Causing their lives to end in complete and utter catastrophe. It would be an intense task, but he was up too it. He lead them in a battle, at the grandline, but he completely outflanked his own marine troops, making them retreat the calm belt. Where a sonic disrupter seemed to anger the sea kings. Gleefully laughing, he retreated on his own raft to safety. Upon doing so he came across a devil fruit. The day of destiny fast approached once he had acquired his devil fruit abilities. A man walked calmly, through his office pacing back and forth. Contemplating the use of being cooped up in his barracks all day long. His new lieutenant had yet to register so he happened to be one of those few captains who where lacking. It was quite hilarious really, that he had no idea who was under him or whatever. Being a re-instated captain was rare, but he could care less. He knew that on this one day he would have to interact with someone who also held a rank in the Soul Soceity, but deep down, he felt the urge to not be in the Sereitei. It was an easy decision of what to do next. He had to go ahead and go visit an old friend who he had not seen since back in the days that he happened to first arrive here in the Seireitai. He laughed a bit, and walked over to the large wardrobe that sit to the right of his office. He opened it and looked around, browsing the contents. Nothing really worth taking out except his custom haori with his Insignia on the sleeve. He had taken it out, then slung it onto his body, his Zanpakutou being in a sheath that he had on his left. He had one of the finest made Zanpaktous for good reason. It was the spirit of the female that he happened to love more then any other being in the history of his life. His one and only wife. Kemuri. Yes, she meant the world to him, but it didnt mean that he was gonna cease what he was doing in order to look at that blade all day. He had a life he still had to leave. Or whatever version of life you could catagorize this existance as being. How sorrowfilled this world had become for the master of all Smoke. He nodded his head in a dissipointed way as he opened his office door. His sandals clapping across the hallway as he made his exit of the Division. The Captain of the Seventh Division was out and about, walking around smoking away. His white hair blew ever so softly in the wind as he walked. This certain district of Rukongai was filled with people who didnt matter and who where pitiful and useless. But who cared. It was on this day that a peaceful walk throughout this nasty and downtrodden place was needed. It was all about the cake and the beef. But it didnt matter much to anymore in existance. As the black captain continued to walk, and made his way down the snake winding street. He looked at the people who happened to not even notice him. It was odd really, how uneducated there peons happened to be here. But there where some rather delicious looking females here in the Rukongai. And that made it all the better. "Damn, Im hungry as hell. I guess Ill stop into that ramen shop." He stated as he walked inside the nearest tavern. Took a seat, and ordered some ramen.